We all know our culture is wicked. We only have to watch the news for a few minutes for this to be confirmed. The hard part is seeing those who claim to be “Christians” believing and promoting the same things as our evil culture. Jen Hatmaker is popular among “Christian” women since she claims to be a Christian. There are MANY false teachers these days and we are warned about them in almost every book of the New Testament, as I have repeatedly warned you. I have noticed that most women preachers/teachers become false teachers. Once they disobey God’s clear commands to not teach nor be in authority over men in the churches, many other commands in the word of God are also watered down by them. In order to spot a false teacher, you MUST know the Bible. You must read, study, and meditate upon it, dear women. Don’t allow these false teachers to steer you away from the truth. “As a leader and author, pastor and teacher, let me just be positively clear where I stand on a few things. In the most outrageous twilight zone ever, these issues have now become ‘partisan’ but to me, these are purely a matter of my faith which compels me. I will always champion a working faith ethic that…” Just calling herself a leader and pastor shows that she doesn’t care about the Scripture’s admonition that women are not to teach men but to remain silent in the churches. “But I suffer not a woman to teach, nor to usurp authority over the man, but to be in silence” (1 Timothy 2:12). She goes on to say that she champions a working faith ethic that “Believes women.” Where in the Bible does she get this from? Even perfect, sinless Eve lied to the serpent and added that God had told them not to touch the fruit of the tree! According to the word of God, we are ALL sinners, yes, even women. “For all have sinned, and come short of the glory of God” (Romans 3:23). 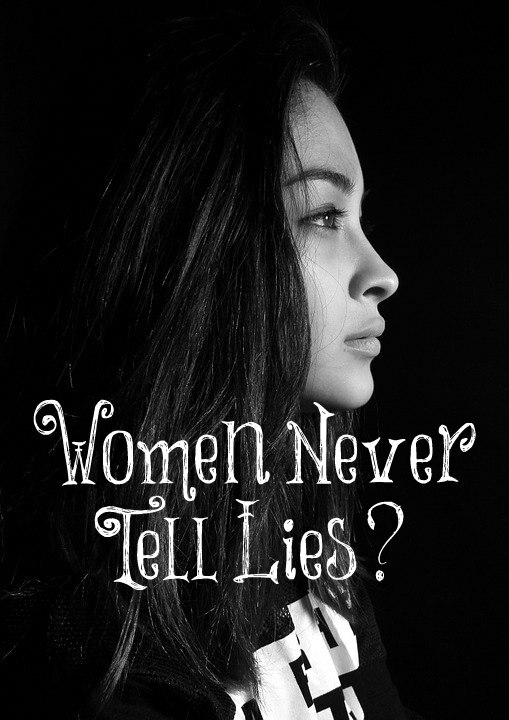 She believes women even if they are lying with not a shred of evidence that they are telling the truth? Even if they are twisting the truth to destroy the reputation of a good man? How about believing only women who are actually telling the truth? Jen’s “working faith ethic…Condemns the pervasive, patriarchal power structures that keep women silenced, underpaid, underrepresented, exploited, denigrated, shamed, and abused.” And where is this actually happening in America? We just had a woman who almost became the president of the United States and many women in both houses of congress! Does she not care about the “power structures” that God has set up? He made Adam first. Jesus chose 12 male disciples. Only men wrote the Bible. Only men are to have authority and teach in the churches. The husband is to be the head of his wife. I believe that God clearly knows what He is doing by having men be in authority but God also gives worth and value to women. It’s Christianity that brings value to women BUT this doesn’t mean that women are to forcefully take over men’s positions in the churches, homes, or in culture and cause division between men and women as Jen Hatmaker is doing. Her working faith ethic “Names, repents from, resists, and actively fights white supremacy in all its forms, structures, systems, language, and evil practices.” Can she show me one Bible verse that tells her that this is what she is supposed to be fighting? I am not even sure where she is seeing “white supremacy” in our culture. We just had eight years of having a black president and people of all colors in positions of authority in our country from senators, to governors, to mayors, and everywhere else. Besides, her racist rhetoric is highly divisive by writing about “patriarchy” and “white supremacy.” Why the hatred towards men? Yes, there are some evil men but many good ones. And actually, the only people it seems people can openly attack and slander in our culture these days without any backlash are white men! Just because they are white shouldn’t disqualify them. Remember, we are to judge people by the content of their character, NOT by the color of their skin. “Actively resists children being held in detainment apart from their parents at the border as a wicked, punitive, unconscionable political strategy.” What about the mass slaughter of millions of children by abortion? Does she actively resist this, too, and speak up for the life of the unborn? “Refuses to accept the dehumanization of immigrants, refugees, Muslims, Mexicans, and brown and black bodies everywhere.” So is she saying that anyone and everyone can come across our borders without any protection for our own country? Does she lock her doors at night? Does she do what she can to make her home and children safe? By not having open borders, this is what our country is doing just as she does with her home. Almost all countries are careful with whom they allow in their country BUT we still allow immigrants into our country and our country is full of immigrants, refugees, Muslims, Mexicans, and brown and black bodies everywhere. They simply have to go through the proper process in order to enter our country to ensure its safety. “Affirms the LGBTQ community, defends their rights, and cherishes their humanity.” So she is affirming, defending, and cherishing activity that God condemns. Does she even believe it is sin anymore? Has she read Romans 1? Does she not care about their eternal souls more than their rights? Does she share the Gospel with them? Yes, we love them as human beings and treat them with respect but we don’t affirm them in their sinful lifestyle as she is doing. “For this cause God gave them up unto vile affections: for even their women did change the natural use into that which is against nature: And likewise also the men, leaving the natural use of the woman, burned in their lust one toward another; men with men working that which is unseemly, and receiving in themselves that recompense of their error which was meet. And even as they did not like to retain God in their knowledge, God gave them over to a reprobate mind, to do those things which are not convenient” (Romans 1:26-28). “Believes we have a better story to write together than the divided, contentious, fear-based example we see in culture right now. We can do better. We are better than this.” Our job as believers in Jesus Christ isn’t to right all wrongs in our culture. There’s no biblical command to do this. We are to be salt and light in a wicked culture by living godly lives and bringing the hope that we have in Christ to those around us. “No man that warreth entangleth himself with the affairs of this life; that he may please him who hath chosen him to be a soldier” (2 Timothy 2:4). We are to gently point out their sin so they see their need for a Savior, not try to affirm their sin and make them comfortable in it. The Gospel itself brings division and contention. Look at what they did to Christ! He never spoke about the ills of culture. (Yes, He spoke of culture as wicked but He never told His disciples or followers to try to change it.) He spoke about the ills of men’s and women’s hearts and pointed them to Him and their need to become new creatures in Christ who are filled with His Spirit. People need Jesus. They don’t need to fight for a perfectly good and fair culture since this will never happen. Our culture is following the prince of the power of the air (Satan). They are blinded to truth and we will never have a perfectly fair culture because it is filled with sinful human beings who want nothing to do with their Creator. All wisdom comes from Him. Most people have no wisdom. “The thing is, this is the only way I understand the gospel. I cannot come to any other conclusion than this path laid out for us by Jesus. Anything other than a radically inclusive faith that honors the dignity of every person makes no sense to me. I can’t find any other road through my faith than one that condemns patriarchy, misogyny, sexism, racism, homophobia, ableism, abuse, and white supremacy. NOTHING ELSE MAKES SENSE. This is who Jesus is and what He came to do. I can’t say it any plainer. He came to loose the chains of injustice and set the captives free. Full stop.” (This is way too similar to what Rachel Hollis wrote, unfortunately.) Jen Hatmaker must have failed to read the parts where Jesus told those He was speaking to that if their right hand causes them to sin, they are to cut it off and if their eye causes them to sin, they are to pluck it out. He told the adulterous woman to “go and sin no more.” He caused a ton of division and was even crucified for it, so I don’t know what jesus she serves but it sure isn’t the Jesus of the Bible. He was nailed and crucified to the cross for our sin. He never talks about a “radically inclusive faith.” No, it is a narrow path that we are on and few want to walk on it. “Because strait is the gate, and narrow is the way, which leadeth unto life, and few there be that find it” (Matthew 7:14). It is for those who repent of their sin and believe in Jesus Christ as their Lord and Savior. “The time is fulfilled, and the kingdom of God is at hand: repent ye, and believe the gospel” (Mark 1:15). “So that is where you will always find me, good readers. During every administration, throughout every movement, in every church setting, in all my work, five years from now, ten years from now, until I’m dead.” So fighting social justice is more important to her than speaking the truth in love and sharing the true Gospel of Jesus Christ? (Yes, it’s MUCH easier to teach what she teaches rather than the truth of God’s word.) There will always be evil in this world because this is not our home. We are strangers and aliens. We are never commanded to right all social wrongs (yet, she goes way beyond this and wants to right what God calls sin, cause division between the sexes, and destroy the authority structure that He has set up). She, sadly, cares more about her social agenda than people’s eternal souls. Listen to strong, male Bible teachers, dear women, like Michael Pearl and John MacArthur. Michael Pearl is actually my favorite because he doesn’t water down any of the word of God no matter how unpopular it is in our culture. I want to be this kind of older woman who teaches younger women biblical womanhood. I never want to water down the truth of God to become more popular. She certainly has done that. So far, he has paid out $60,000 in legal fees to defend his good name, but even if he is proven to be innocent, his reputation will be ruined forever. Sadly, in cases like this, a man is not “innocent until proven guilty” like the law requires he be. In cases like this, his life will never be the same again, and the nasty, vindictive woman will go on her merry way, having destroyed someone. Just because a woman says she is assaulted/raped/abused does not mean she was! Not only is this movement harming many innocent men, it’s also degrading to women who have actually suffered sexual crimes. I absolutely believe that all men who sexually abuse women should be brought to justice. But I also believe that the vast majority of men are good men who would never sexually abuse a woman, but they are being unfairly tarred with this brush. I agree, KAK, but because of the way women are today (radical feminists), there is little common sense or wisdom anymore. It’s very sad. If you want to know what most of the false teachers believe, you’d do better to consult DNC talking points than the Bible. JM teaches mutual submission Lori. He also states you can take the mark of the beast and still be saved. He tried to recant this but didn’t completely because he cannot rap his head around all the those who are not saved at the rapture will have the mark of the beast, so how do those who become believers after the rapture continue through the tribulation when he states those who believe will not endure the tribulation. He states it’s one of God’s mysteries. No it is not a mystery. John MacArthur used to not teach mutual submission. This is why I like his teachings from the 1990s and prior to this. I was saddened to see his watering down of submission in the more recent years. I haven’t heard anything about the mark of the beast issue so I can’t comment on this. Can you give me a link to where he teaches TRUE “mutual submission”? I have (unfortunately) heard him use the “term” in a few of his sermons but if you really listen to what he is saying, I have not (yet) heard him say that a husband is to submit to his wife’s authority, or obey her or anything along those lines. What I understand him to say is that a husband is to submit to his wife’s needs, as in placing her needs before his own needs. I did not like it when I heard him use that term in that way. I felt that it was just going to cause trouble because so many people will just hear the buzz words and think they mean true mutual submission like the egalitarians speak of but I don’t really think he has slid that far down to teaching egalitarianism. Correct me if I am wrong. He teaches a lot of great things in this sermon but he also teaches some things that aren’t biblical. 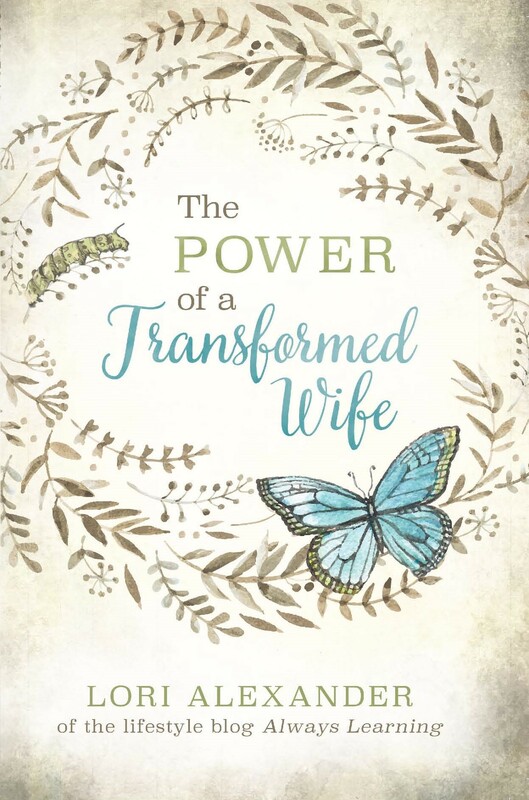 “You say, ‘Wait a minute, aren’t men supposed to be the authority in a relationship?’ Yes, but it is a submissive kind of authority… I understand that while I have authority over her given to me from God, I am also commanded to be submissive to her in every area of her needs.” How in the world does a husband be submissive to his wife in every area of her needs? That’s an impossible task and never commanded by God. In this sermon, he also states that wives are never commanded to obey their husbands. I guess he doesn’t believe 1 Peter 3:6. Read the entire sermon, Trey, and let me know what you think. I agree, Diana. God is very clear what He wants women teaching other women. A tree is known by its fruit (Lu 6:43-45). Spot a rotten fruit? Look around for other rotten fruit. Spot more rotten fruit? Safely conclude that the tree is rotten. Walk, briskly, from the area. Do not look back. Do not slow down. Do not pass ‘GO’ do not collect $200. A God-fearing woman will be known by her demeanor and actions. She will not be known by her words, especially not by words that are argumentative. * She speaks of ‘fun’. Nowhere in the Bible does God want for us to ‘have a little fun’, instead, the context of ‘fun’ is always negative, pertaining to gaining personal satisfaction at the expense of another. * She looks for ‘happiness’. We are called to fulfillment in serving Christ, for which we will experience joy overwhelming. Feelings are fleeting, focusing on them is vain. * She wants ‘justice’ (‘social justice’ is even more of a red flag). She should be seeking to demonstrate grace around her. * She is a ‘social justice warrior’. She should try being a God-fearing woman instead, a ‘soldier in God’s army’ performing her role on the spiritual frontlines as a helpmeet. * She likes ‘fairness’. This is a loaded term as it is undefined. Moreover, Christ promises us that this life *will not* be fair and to invest in our heavenly treasures. To seek to ‘right legislative wrongs’ is to replace God with Government, and to seek earthly gains instead of setting one’s eyes on the Kingdom. * She complains of ‘the patriarchy’. Oh, like God being Father over his creation? The evil is not contained in the creation, but attempting to overturn the creation. * She pines over ‘privilege’. This is often paired with ‘victim’ status. God made everyone exactly as He did, He does not make mistakes. This buzzword assumes the host knows better than God Himself how to run His creation. * She preaches ‘tolerance’. Sadly, many pastors conflate tolerance: God is a patient God, a just God, an accepting God, a forgiving God, but He does not tolerate. That He sent the Son to die on our behalf is demonstration that tolerance is antithetical to love. These buzzwords travel in packs: if the host that expresses them uses one of them, they will almost always express more of them as well. Most all of these come from, at the heart, a woman failing to recognize and embrace the role she has been tasked to execute and replace said role with the responsibilities of men. She busies herself instead of honoring God. It is idol worship, pure and simple.